Available for PC/Win & Mac OS hosts. PDF manual included. Windows users: 32bits only here. Don't ask for x64. No way. OSX (AU) versions: Urs @ u-he updated the fillets so that they pass the AU validation procedure of Logic 7. 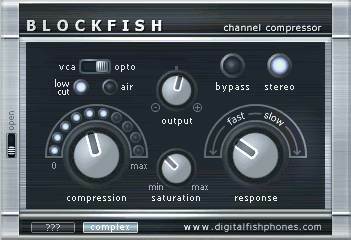 "I've updated the v1.1 zip file of the 'fish fillets' (PC/Win): the 'blockfish' compressor tended to produce some low-frequency rumble noise at high saturation settings and the 'complex' mode switched in. This has been fixed as well as some minor changes within the compressor path. If you're unsure that you've got the latest version: the new file 'blockfish.dll' is date of Feb 16." Fixed a bug that led to a memory leak (causing crashes), especially with Win XP and Cubase SX. 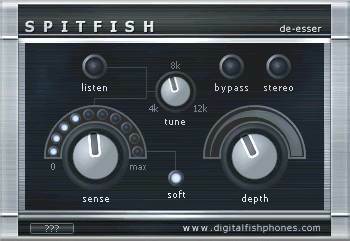 This has been most prominent with blockfish, but is fixed with the other two plugins as well. 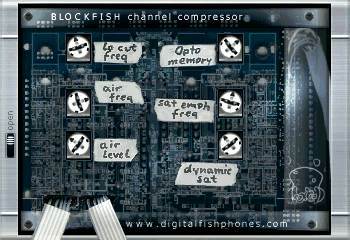 Replaced the saturation stage (between the circuits and at the output) inside of blockfish. Should sound much nicer now. 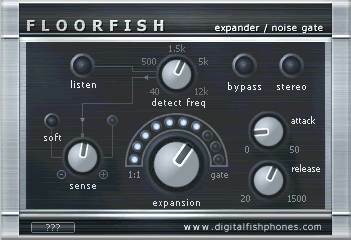 Fixed a bug in floorfish. The 'expansion' knob showed an incorrect position when a preset was loaded back from the hard disk. Unzip the archive, copy the plugin file into your '\vstplugins' folder and (re)start the host program. It should find dominion as a new insert plugin.